Sneaking in under the radar - BODIE 3.7 . you'll never walk alone ! Hello, i'm back from a weekend in London and The Professionals book launch. What can i say, it's been a fabulous weekend. There was a drink in this pub and a walk around this park. before on to the actual book launch. We arrived about 2.15 and i immediately searched out a copy of the new book and then spent a good fifteen minutes asking "please would you sign my book thankyou" unto which one actor asked me "where do you come from " on telling him he said "thank god a northerner". Then it was time to take our seats and the video showing began. There was of course lots of cheering and clapping but i think the most whistles came from the clip of Lewis in his scruffy undercover role with Gary Shail. First on stage was the director David Wickes who spoke about his time directing The Professionals and was then joined by Gary Shail who spoke about the episode he was in and also about his friendship with Lewis which then in turn went to David and Gary talking about Jack The Ripper and lots of little insights into the making of it, for example when JTR was about to be broadcast in America nobody had heard of Lewis so David Wickes who was directing the show asked Lewis to come in for a meeting so they could photograph Lewis and send his photo to the american channel producers and Lew turned up with a black eye , asked how he had got his black eye Lewis replied "she made me walk in to a door" and that was typical Lewis.I also didn't know that in the filming of the episode The Female Factor, Martin and Lewis were not speaking to one another, this coming from Felicity Dean when she was on stage. 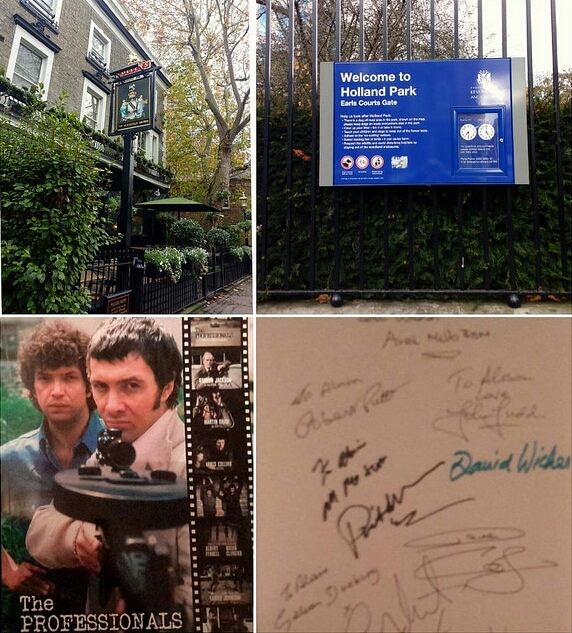 I also spoke to Diane Keen and i asked her what Lewis was really like to which she replied "in one word LOVELY and a true friend"
Eventually my time came to leave, i had to get back to Euston Station but infront of me on the way out was David Wickes who shook my hand and thanked me for attending and then standing at the front entrance was Gary Shail who shook my hand and told me about his friendship with Lew and what a lovely man he was. Gary visited Lew when he found out how bad Lewis's illness was so i thanked Gary and away i went after a happy time and a day i will never forget. Yes, it was really interesting to hear all the stories. I must write up my thoughts and make a post to the_safehouse. Yes I was there and it was lovely to hear all the interesting stories and the little insights into what went on behind the scenes. I'm sorry we didn't get to say hello and please don't tell me my meeting has been misunderstood because I did say that I wasn't available on Monday but am on Tuesday. she haa been in touch and i will see her tomorrow...phew !! !